Ring in the new year by shedding old habits, negative energies, and patterns of thinking that are holding you back from achieving the health, happiness, and overall well-being that you deserve. Experience all of the sacred ceremonial plant medicines we have to offer, and help us welcome the year ahead as our lighter, brighter, more authentic selves. 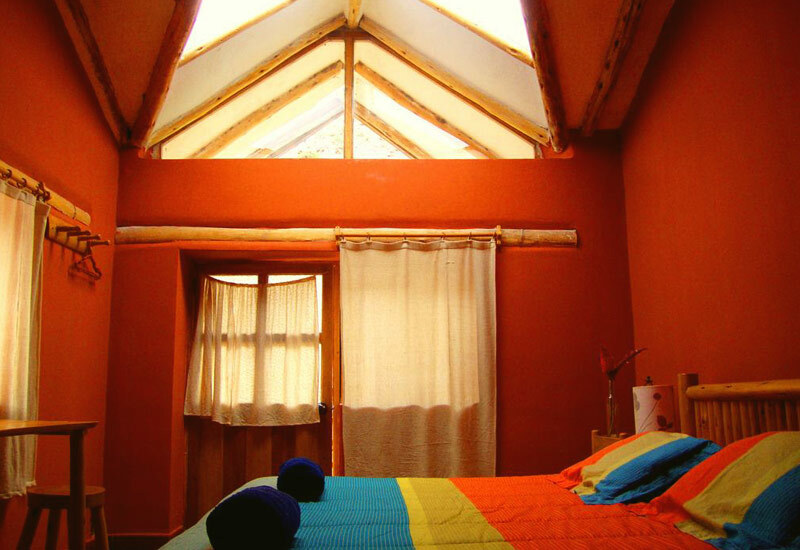 Our Ayahuasca retreat at Arkana Sacred valley, we only work with the most skilled and compassionate Shipibo Shamans supported by a staff of trained healers and facilitators to bring you a comprehensive program deeply rooted in the traditional practices of ancestral medicine. We offer a safe, caring, and effective space to begin your journey of transformation, helping you every step of the way as you uncover the energetic roots of any trauma, negative thought patterns, unhealthy habits, or spiritual imbalance. Our carefully constructed program optimizes your healing by incorporating Eastern and modern philosophies for long-term integration into a modern world. Following your time with us at Arkana, you will return to life back home with a new perspective and a deeper understanding of yourself and your truth, and will be equipped with the skills and tools necessary to integrate your experience into your everyday life. Each ceremony offers a unique opportunity for healing and knowledge our team of highly skilled, compassionate, loving human beings provide the space and assistance necessary for you to prepare for and process each experience. From before you arrive and long after you return home, we work with you to clarify your intentions and ideal outcomes, and are with you every step of the way as you open up to your own intuition, explore your inner landscape, and embrace a life lived from a foundation of truth and unconditional love. Upon arrival to our Arkana Spiritual Center, nestled in the mountains on the expansive banks of the Urubamba river, you are greeted by our loving staff of facilitators and healers. Meet the other members of your tribe, enjoy a tour of your new home, and get all your questions answered during an introductory information session. Dinner will be served around 6:30 pm and after that you will have a night of visionary cinema. The next morning at sunrise, you will begin with a meditation session to prepare you for the week ahead. At 8:00 you will have breakfast and after that a hike to visit Maras Salt Mines that are conveniently located close to the center. At 1:00 pm you will enjoy lunch followed by 1-on-1 consultations with the Shaman (and translator) to discuss your intentions and your ideal outcomes from your Ayahuasca experience. Our Shipibo Shaman, Maestro Diego, will guide you as you begin your healing journey and integrate your intentions into the personalized icaros (songs of the plants) that he will sing directly to you during the ceremony. Following the 1 on 1 meetings, you will have a yoga session to relax your mind and body preparing you for the ceremony ahead which starts at 7:30 pm. We begin this day with a morning meditation to welcome the year ahead, with a new perspective and a clean slate, radiating love for all things in this meditation session and beyond. The morning after the ceremony provides an opportunity to share your experience with the Maestro Diego and the group, which can help you gain clarity, integrate your lessons, and set your intention for the next ceremony. While all activities are completely optional, we find that sharing your experience and learning from others’ ceremonies can be a vital and extremely profound part of the healing process. Many guests claim that the new perspectives gained during group shares were as powerful as the ceremonies themselves. Nevertheless, private consultations with our Shaman and facilitators are possible for more sensitive healing or issues that feel too personal to share with the group. Right after group share, you will have the opportunity to participate in a purification ritual called Temazcal. This sacred practice involves a sweat lodge in the ancient Mesoamerican tradition, and is the first step towards releasing negativity and fear, opening oneself up to receive healing, and moving past the point of resistance to release and heal past trauma. Afterwards, step out into the cool mountain air refreshed, renewed, and revitalized to continue your work with the medicines. In the afternoon the facilitators will guide you through a breathwave session followed by quiet time and the 2nd Ayahuasca ceremony, continuing the work you started the previous night. Welcome to the New Year! On the third day we will journey to the ancient city of Machu Picchu, one of the great wonders of the world. Just two hours by scenic train ride, we’ll arrive in Aguas Calientes (also known as Machu Picchu village) in the early afternoon. During this excursion, you will be accompanied by your professional English-speaking guide with in-depth knowledge of the ancient Inca civilization, Machu Picchu and Peru’s history. Many people find his knowledge to be of significant effect on the Machu Picchu experience. You will spend the afternoon visiting the archaeological site and will return in the evening to the center for Dinner. In the morning, we’ll start the day with a sunrise meditation followed by Breakfast. During the morning you will visit the nearby town of Ollantaytambo, the site of an ancient fortress and archaeological site. You will have a few hours to walk around town, do some shopping and visit whats known as Ñaupa Iglesia, a small cave carved in the mountain. You will head back to the center for lunch followed by afternoon Yoga and a Sound Healing Session. In the evening you will have your 3rd Ayahuasca ceremony. Thursday morning will start with breakfast followed by group share to discuss the ceremony of the night before. After group share the group will head out to visit the quaint little town of Pisac known for its colorful Thursday market. On the way to Pisac, we will stop to visit the Urco Sanctuary a wildlife refuge, home of rehabilitated condors. Later on we will arrive at the Pisac market, where people from all neighboring towns come to trade food, and a beautiful selection of andean arts and crafts. This is the perfect opportunity to see a bit of local culture while buying presents and souvenirs for your loved ones back home. You will have a few hours to do some shopping and enjoy the local delicacies of the Andes. In the afternoon you will head back to the center where you will have another Yoga session and your final Ayahuasca Ceremony. Huachuma (also known as San Pedro) is a sacred plant medicine of the Andes, also known as Grandfather Medicine. The ceremony is typically conducted during the day. After breakfast and group share, the San Pedro Ceremony will start around 11:00 am. San Pedro is a gentle and loving medicine, which can lift the veil of human perception to allow you to see the world for the energetic and spiritual flux that it actually is. Offering introspective healing and a heightened level of awareness, the gentle nature of San Pedro makes it the perfect closing ceremony where you will be able to integrate all of your week in the Andes. During your San Pedro healing ceremony, you’ll be offered a succulent fruit salad which will not only entice your senses but make you appreciate the life-giving gifts that nature offers us. After you finish your juicy fruit salad, you’ll be invited for a fire ceremony and dinner where there will be singing and dancing around the fire. After a full day of healing, enjoy a delicious and healthy dinner before relaxing, bonding, and processing your experience the rest of the evening. After breakfast and a final group share, the facilitators will discuss tips and advice for integration back home. They will share stories, go over potential challenges, and answer any questions you may have, in order to best prepare you to carry your lessons back home with you and act upon them. 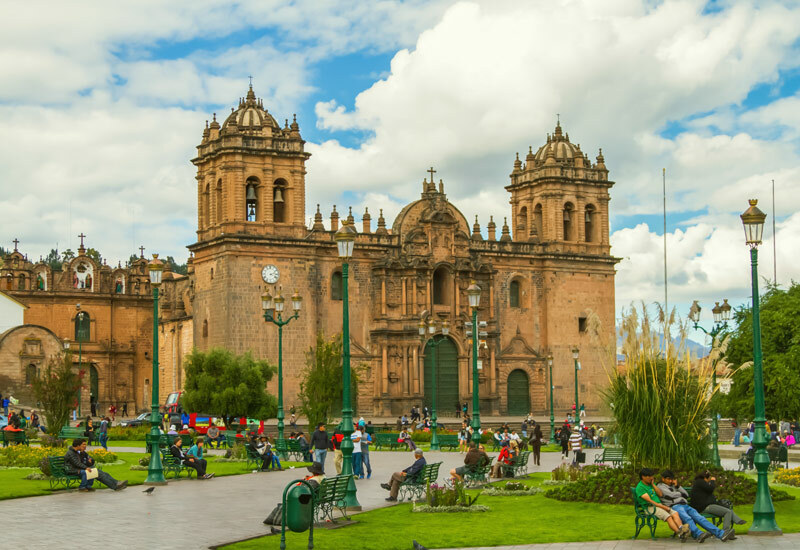 The group will head back to Cuzco dropping guests off at the airport around 11am or at the city for those that want to spend some extra time on their own discovering the many sites the city has to offer. Thank you for joining us for this life changing adventure! *Note: Schedule may vary day by day.